for announcements, special news, last minute offers & savings! It is nearly impossible to experience all there is to do here in this tropical paradise. We have listed many of the available activities, along with additional information to help you schedule each of your adventures during your visit. The following tours below are offered through Dominical Surf & Adventures. 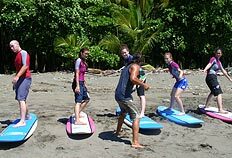 Dominical Surf & Adventures offers unique outdoor adventures in some of Costa Rica’s most beautiful locations. Costa Rican Rentals can arrange to have a representative come to your villa to discuss the tours with you. GUABO RIVER: Class III. The descent starts on the valley San Juan de Dios and it ends at Dominical beach. This river offers a half day adventure. The Guabo River has a lot to offer, such as exuberant vegetation, mystical canyons and an exciting descent. During the run of 8 miles (13 km) you will have the chance to hike waterfalls, enjoy its richness in wildlife and unique scenery. You will have the opportunity to feel the rush and adrenaline that whitewater rivers offer. Along the river we will make a stop where you will have lunch and a chance to enjoy the beauty of the canyon. Requirements: Ages 12 and over. Participants must know how to swim, have the abilities to walk in slippery or unstable places and paddle. Tour is from 8am – 2pm. COTO BRUS RIVER: Class III and IV. The Coto Brus River is known for its beautiful scenery, the greenness that surrounds it and the diversity of wildlife that you can find on it. Since other boaters are rarely found there, it is a virgin river for rafting. It is simply an unforgettable adventure. Along the river we will make a stop where you will have lunch and have a chance to rest so you can be ready for more action. Requirements: Ages 14 and over. Participants must know how to swim, have the abilities to walk in slippery or unstable places and paddle. Tour is from 6:30am – 5pm. 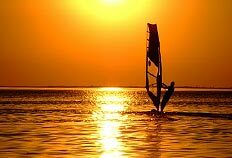 Surfing is a great sport that everybody wants to try. Our surf school makes sure that you learn the basics of surfing on a smooth way. Our surf instructors will teach you how to ride the waves depending on your capability. There are lots of spots at Costa Ballena where we can choose the right place for our lessons. We offer private lessons as well as group lessons for beginners and intermediate. You can pick from one-day classes, multi-day classes or a “surfari” at many beaches of our country. You can also combine these with other adventure expeditions. DSA rents surfboards. We guarantee that you will learn how to surf. The starting time for the lessons works according to the tides. The duration of the lesson is two hours long. We provide the equipment, certified instructor and snacks. Tubing & float in the Rio Baru is a perfect experience for those who like to enjoy the nature mixed with adventure. There is lots of nature and beautiful scenery that the river has to offer. This is a nice activity for everyone in the group. Each person will be in their own individual tube and also we have bigger inflatable for those who feel more comfortable doing the descent with the guide. Along the river we will stop for a picnic. 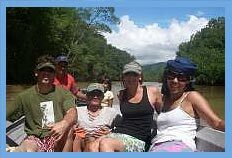 The section that we at Costa Rican Rentals would be running has small and fun rapids; ideal for all ages. Includes: Professional equipment, expert guides with safety certifications standards and years of experience, snacks, transportation and lots of fun. Requirements: Ages 5 and over. Participants must know how to swim. Hike to Baru Waterfall, also known as Nauyaca Waterfalls. Definitely a must see! Here you will find the beautiful waterfalls of Baru, formed by two waterfalls of 60 and 120 feet. The hike is about 1 to 1 ½ hours down to the waterfall. Along the way your guide will explain about the plants, animals and the interactions of the ecosystem. You will have a chance to enjoy the scenery and the tropical forest. 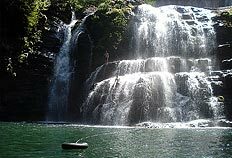 Once we get to the waterfall a nice pool will be waiting for you where you can swim, jump and rest. We will have lunch by the pool and then hike back up. Come and enjoy the beauty and importance of the mangroves, a magical place that is home to one of the most important ecosystems of the South Pacific coastline. The mangroves are full of flora and fauna. Your guide will explain you about the importance of the mangroves, the interaction of animals, plants and people and the different types of mangroves. Along the tour we will stop at a secluded beach and have lunch with a local fisherman family. This is an ecological and cultural trip. Perfect for all ages. Starting time is decided according to the low tide of the day. We have different routes and levels of difficulty. All of Costa Rican Rentals tours take place in the area of Dominical. Along the routes we will have the chance to see stunning views and waterfalls. The tour includes transportation, snacks and equipment. The trails and routes are customized according to the clients’ capabilities, interests, and experience. Costa Rican Rentals is proud of Heather Mahaffey for being recognized by Conde Nast Traveler magazine as the villa rental specialist for four consecutive years.